Export-dependent IT, biotech and pharma firms have their backs to the wall with the rupee gyrating and their overseas markets in turmoil. When will the markets look up again? T.V. Mahalingam goes into the details. When will the western markets look up again? When will the foreign exchange markets stabilise? Don’t know, they say, as they scramble to minimise the damage. They—scores of companies in knowledge sectors like information technology, biotechnology and pharmaceuticals—are discovering that there’s no knowing the answers in these troubling times. Take IT. The fall from grace of these rock stars of the stock markets has been quick and brutal. As stock prices took a beating, the market caps of blue-chip IT stocks shrank— and their rankings on the BT 500 fell. Tata Consultancy Services (TCS) lost more than a fourth of its market cap in the first half of 2008-09 and failed to figure among the Top 5 for the first time since its listing in 2004. Wipro fell off Top 10. All the Top 5 companies lost market cap in double digit percentages. For an industry that is India’s beachhead in the global knowledge economy, the treatment IT has received from the markets and investors has been painful. So, what’s to blame for IT’s plight? For one, the yo-yoing rupee. The slowdown in key verticals and geographies, and pricing pressures are other factors. The same factors, in varying degrees, have brought grief to other knowledge-intensive industries like pharma and biotech. And although there are exceptions (pharma majors Ranbaxy and Sun Pharma have actually gained in market cap and rankings), the industry is bracing itself for the rough weather ahead. With the rupee depreciating by close to 19 per cent since the beginning of 2008 and by almost 8 per cent last quarter, companies that had hedged heavily last year bled forex losses. TCS alone clocked forex losses of Rs 261 crore in the second quarter of 2008-09—more than the Q1 forex losses of all the Top 5 IT companies put together. Add to that drugmaker Ranbaxy’s forex losses, and the figure comes to Rs 570 crore—more than the quarterly revenues of most Tier II IT firms. “Unprecedented forex fluctuations and a liquidity crunch are among the biggest challenges that the industry faces today,” says Malvinder Mohan Singh, CEO & MD, Ranbaxy Labs, which reported a consolidated loss of Rs 394 crore in Q3 against a consolidated profit of Rs 235 crore for the same quarter of the previous year. Despite talk that sectors like pharma and healthcare are recession-proof and are unlikely to be impacted in a big way by the global credit crunch, the leaders of these sectors are wary. “The global economic turmoil has had a significant impact on liquidity, interest rates, exchange rates and equity markets, thereby potentially affecting all companies, which are highly leveraged or have large foreign currency exposures,” says Arun Chandavarkar, COO, Biocon. The credit crunch is likely to adversely affect these companies on two fronts. One, it’s likely to freeze, albeit temporarily, the buzzing M&A activity in these sectors. Two, some high-risk, high-investment R&D work may be shelved for now. “Companies will definitely go slow on M&As in the pharma sector as there is too much uncertainty,” says G.V. 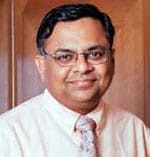 Prasad, CEO & Vice Chairman, Dr Reddy’s Laboratories, which acquired companies in the US, UK, Italy and Germany over the last couple of years, including Betapharm Arzneimittel for Rs 2,250 crore in early 2006. Market watchers also believe that R&D projects are likely to be affected in the near term. “Undoubtedly, the global financial crisis will make fund raising more difficult for R&D projects of Indian pharma companies. Investors have become more cautious and riskaverse and they may prefer to stay away from avenues such as discovery research where the risk involved is higher and the stream of returns is uncertain,” says Hitesh Gajaria, Executive Director, KPMG India. He, however, believes that this may work in favour of Indian companies over time as prudent investors will bring money flowing into more promising drug pipelines. That’s for tomorrow. Today, companies are putting R&D projects in cold storage. So, Perlecan Pharma, Dr Reddy’s drug-discovery-related R&D subsidiary, which was hived off in 2005, has put on hold all innovative R&D. Only the other day, Perlecan was hailed as an innovative model in the Indian pharma industry that would de-risk the parent from the long gestation involved in drug research. It had funding from ICICI Venture and Citigroup Venture Capital. By June this year, the VCs wanted out and sold their stake back to Dr Reddy’s, which now plans to amalgamate the company with itself. In biotech, companies like the Hyderabad-based Bharat Biotech, a vaccines major, see testing times ahead for the newcomers. “Companies that are established and have been around for a while will survive. But biotech companies that have started up in the last three years with VC funding will see funds drying up... and will face the heat,” says Krishna M. Ella, Chairman & MD, Bharat Biotech, which crossed a milestone recently— production and delivery of more than 150 million doses of Hepatitis B vaccine. Ella plans to prune his R&D budget. The casualties: the company’s malarial and chikungunya vaccines. But not all is lost. The leaders are tinkering with their revenue models and doing the unthinkable. TCS, for example, is getting into the business of processing passports for the government. N. Chandrasekaran, COO, TCS, said recently: “We are evaluating new business models, including contracts based on revenuesharing models.” In the Rs 1,300-crore deal with the Ministry of External Affairs, spread over six years, TCS will receive Rs 174 per passport it processes. The TCS move to get work at home does not mean India has lost its traditional cost advantage. “As corporations internationally look at cutting costs, the Indian offshoring model will look even more attractive. Moreover, Indian majors have near-shore capability now with the ability to serve Europe from geographies like Poland,” says Arup Roy, Senior Research Analyst, Gartner. 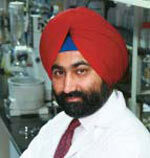 The pharma industry also stands to gain here, says Gajaria. “The economic crisis in the US calls for aggressive cost-cutting in many areas of that economy and healthcare is one of them… As a result, the demand for generics drugs is likely to grow further. Indian companies can leverage their ability to deliver highquality drugs at cost-effective prices in order to strengthen their presence in the US market,” he says. But, most importantly, the key gain in times like these would be a change in mindset. Aggressive poaching is almost a thing of the past in these industries. In the pharma sector, Indian and US pharma players are likely to forge partnerships to keep costs down.